Since 1965, when Congress amended the Social Security Act, most Americans have reason to feel that turning 65 is a good thing. At that age, they are eligible for Medicare. 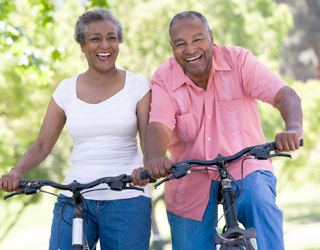 This is the federal health insurance program that covers those who are 65 or older. Medicare also covers some people who have disabilities, and those with permanent kidney failure, known as end-stage renal disease (ESRD). Medicare has four parts: A for hospital insurance; B for medical insurance; C, also known as the Medicare Advantage Plan, which is offered by a private company; and D, which covers prescription drugs. Parts A and B are the most well-known to the general public. When and how does Part B coverage begin? You begin to receive Part B Medicare coverage automatically. In most cases, it begins on the first day of the month in which you turn 65. For those with a birthday on the first day of the month, Medicare coverage begins the first day of the prior month. If you have a disability, such as amyotrophic lateral sclerosis (ALS, or Lou Gehrig’s disease), you will automatically start Part B Medicare coverage the same month you start receiving disability benefits. You may have a disability and are under the age of65. If so, you will start getting Part B benefits automatically, after you have been getting benefits from Social Security or the Railroad Retirement Board (RRB) for 24 months. An automatic enrollment in Medicare means that the red, white and blue Medicare card will be mailed to you three months prior to your 65th birthday. Or, you will receive it after you have been disabled for 25 months. You have ESRD and therefore, are eligible for coverage. You are not getting Social Security benefits, perhaps because you are still working. You live in Puerto Rico, where you automatically get Part A, but want to sign for Part B, which is not automatic. If it not necessary to sign up for Part B each year. But everyone on Medicare has a yearly chance, from October 15 through December 7. During this period, you can review coverage and even change the plan, if wanted. This is called the Open Enrollment Period (OEP). Once you drop Part B, however, it cannot be resigned until the following general enrollment period. This lasts from January 1 thru March 31. There might be a late enrollment penalty, as well. What does Part B Medicare cost? The amount you pay for Medicare Part B each year depends on the amount of your income reported two years earlier on your IRS tax return. For example, those who filed a tax return of $85,000 or less will pay $135.50 for part B in 2019. There may be a late enrollment penalty if you do not sign up for Part B when first eligible. For some Part B services, there may be no extra costs. But some may charge for a doctor visit. You may save money by choosing a doctor or service provider who accepts Medicare. How do you know if you are adequately covered by Medicare Part B? Are you are unsure whether you are carrying Part B Medicare coverage? If so, check your Medicare card. If you have the coverage, it will be listed. If you do not have it, you can get it. However, the costs may be higher if your Initial Enrollment Period (IEP) has ended. Fees for Part B Medicare depend upon your income. To check whether your coverage is adequate, check with your doctor or healthcare provider. You may need something that Medicare doesn’t cover. In that case, you may have to agree that you will pay for the certain item or service. You can also check directly with Medicare about your coverage. Call (800) MEDICARE (633-4227).